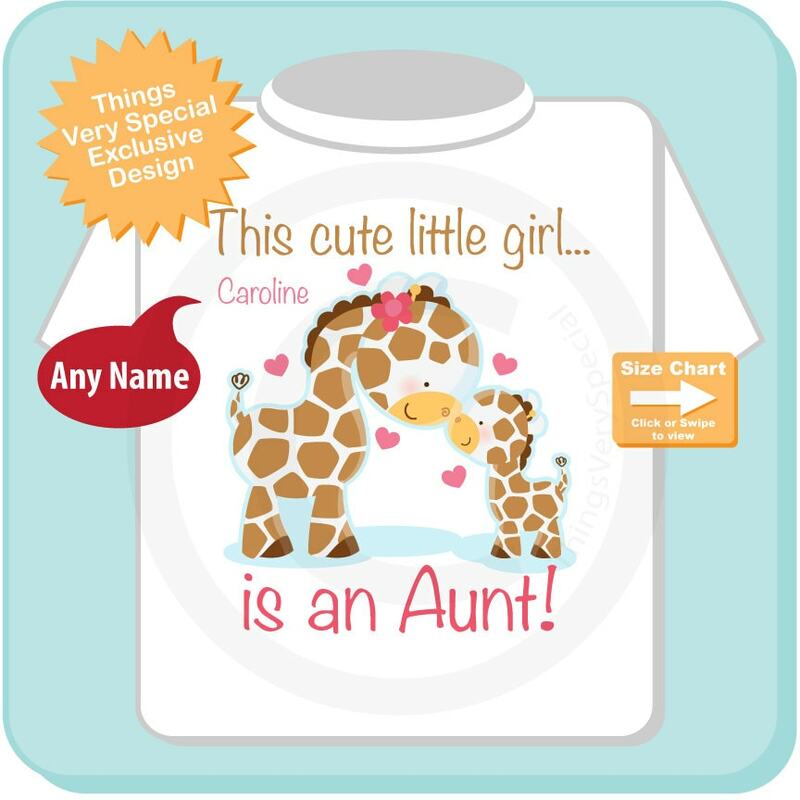 Super cute Personalized This cute little girl is an Aunt, tee shirt or Onesie with awesome giraffe Aunt and little unknown baby giraffe with her. These shirts turned out perfect. All the girls looked so cute in them. Shipping was super quick. Seller communication was amazing. 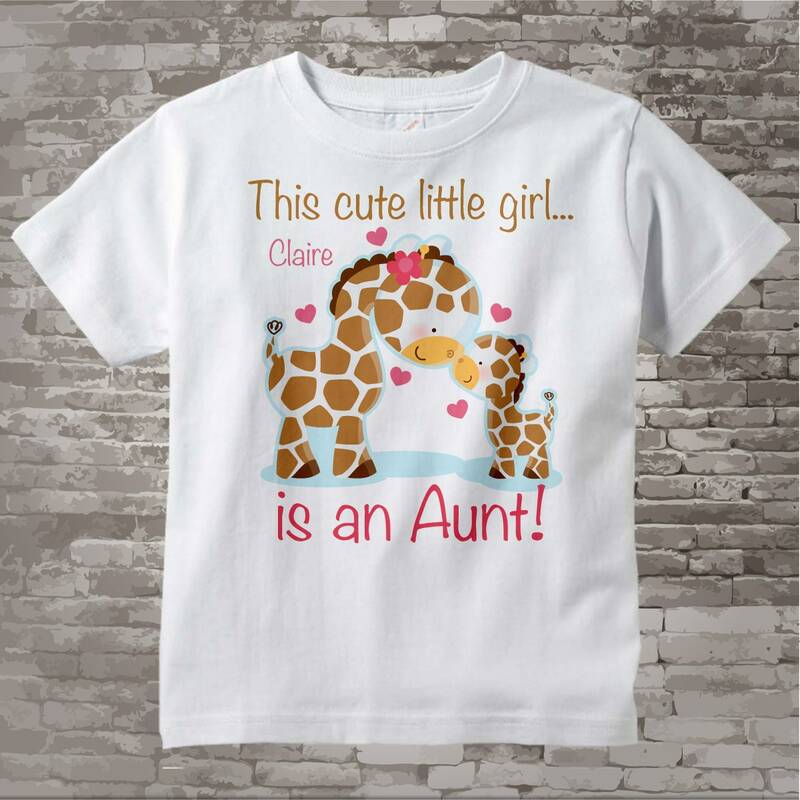 She reached out to me to see if I wanted all the shirts to be the same colors. I am very thankful for that. Will definitely buy from again.